Rolls Royce - Oh, the delightful decadence of it! Henry Royce, having come from a poor background, selling papers at 10 years old, began an electrical and mechanical business back in 1884 and built his very first car 10 years later in 1904. A year previous (1903) Henry had purchased his first car, a second hand French Decauville, for travel between his home and factory. The car overheated, vibrated and was altogether unreliable especially in the electrical components. An angry and frustrated Royce declared to his colleagues that he would personally design and build his own 2-cylinder motorcar. Needless to say Royce’s car was a success and became known for both reliability and smoothness of operation. That same auspicious year (May 4) Henry met the aristocratic Charles Rolls (the third son of Lord and Lady Llangattock) whose business was selling cars to London’s wealthy. A contract was soon negotiated whereby Royce Limited would manufacture the cars and CS Rolls & Co would do the all-important selling (distributorship). Hence the Rolls Royce name was born. Within a mere 2 years these new entrepreneurs produced the Rolls Royce Silver Ghost: a car acclaimed at the time as being the "best in the world." In stark contrast to Henry’s background, Charles was educated at Eton and Cambridge University and gained a degree in Mechanical Engineering and Applied Sciences. He purchased a French 3 3/4hp Peugeot car whilst at Cambridge and soon was considered one of the best drivers in England. He won Sir Alfred Harmsworth’s first 1000 mile reliability trial after which a special gold medal was struck in Charles’s honour. In 1903 at Phoenix Park in Dublin, Rolls set a new world record of 93 mph (150 km/h) in an 80 HP Mors. It is most important to mention Claude Johnson. 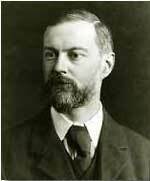 Claude, a brilliant organiser and the first secretary of the RAC, joined the firm as a partner and was credited for much of the growth and success of the Rolls-Royce company especially after Rolls' untimely and tragic death on the 12th July 1910 (flying accident at Bournemouth) and Royce's subsequent breakdown. Claude Johnson became known as the "hyphen" in Rolls-Royce. Royce often quoted that, "The quality remains long after the price is forgotten." Royce headed and guided the company - stamping his own personality on the now famous Rolls-Royce motor cars right up to his death on 22nd April 1933. 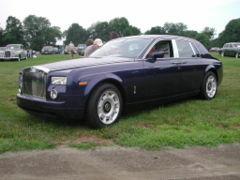 Have you ever wondered and become confused as to why there are so many different looking Rolls Royce models e.g. the 1936 - 1939 "Phantom 111" etc? Today we are so conditioned to "mass production" that a whole beautiful era of individuality has disappeared. I find it fascinating to reflect upon the era of the chassis in car making. Prior to 1946, can you imagine going and purchasing your chassis at Rolls-Royce, then on the way to your tailor, call into your coach maker and select the timbers, leather and total styling and specifications for the individual coachwork for your new Rolls. Oh, and of course you will need, as often was the case in those days, a summer fit-out and a winter fit-out. I presume even then there were the eccentrics (I’m just jealous) who ordered a different exterior for each of the seasons. Oh, the delightful decadence of it! In early December 1904, the first Rolls-Royce car went on display at the Paris Salon in France. 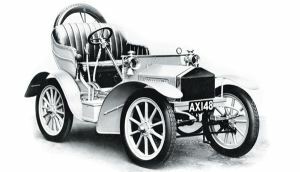 The Silver Ghost (1906-1925) was responsible for the company's early reputation. It had a 6-cylinder engine; In total there were 6173 cars built. In 1921, the company opened a second factory in Springfield, Massachusetts (in the United States to help meet demand), where a further 1701 "Springfield Ghosts" were built. This factory operated for 10 years, closing in 1931. Its chassis was used as a basis for the first British armoured car used in both world wars. Production ceased in 1039 to make way for the war effort. Rolls-Royce and Bentley car production moved to Crewe in 1946, and also to Mulliner Park Ward, London, in 1959, as the company started to build bodies for its cars for the first time: as stated above, previously Rolls built only the chassis, leaving the bodies to specialist coachbuilders. As a result, their first post-war model, the Silver Wraith, was the last to be fitted exclusively with custom bodywork. In 1998 Rolls-Royce Motor Cars was sold by Vickers to Volkswagen, although BMW hold the rights to the name and the marque for use on Rolls-Royce cars, having acquired the rights from Rolls-Royce plc for £40m in 1998. BMW will take over responsibility for Rolls-Royce cars from the beginning of 2003. Surprisingly, slow sales and other factors forced Rolls-Royce to file for bankruptcy in 1971. 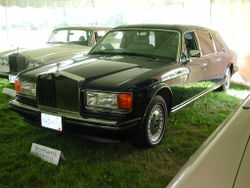 However, business quickly recovered thanks to the popularity of the regal Silver Shadow and sporting Corniche models, and industrial giant Vickers purchased Rolls-Royce Motor Cars Ltd. in 1980. In 1998, Volkswagen AG purchased Rolls-Royce Motor Cars, Ltd., gaining control of both the “Bentley” name and the Rolls-Royce factory in Crewe, England. But Volkswagen failed to secure the rights to the “Rolls-Royce” name, which was ultimately sold to Volkswagen’s rival—and opposing bidder—BMW. On January 1, 2003, after approximately 70 years under the same corporate umbrella, separate firms once again owned Rolls-Royce and Bentley. Today Volkswagen continues to develop the Bentley brand while BMW seized the opportunity to introduce the first Rolls-Royce engineered by BMW. The latest model, the Phantom, is powered by a 6.75-liter V-12 engine and is built at a new factory located in West Sussex, England adjacent to the famous Goodwood racing circuit.